I was travelling with a group of travellers in Southeastern Anatolia Turkey, in particular, Bazda Caves, when Marco Fux of Liechtenstein asked if I had seen any caves as outstanding as Bazda Caves. While the others shook their heads, I proudly said, “I did. In fact, it was more amazing than Bazda Caves.” It is none other than Gunung Mulu National Park – UNESCO World Heritage Site. Situated on the island of Borneo, Gunung Mulu National Park is listed as UNESCO World Heritage Site since November 2000. The significance of Gunung Mulu National Park is undeniable as it satisfies not just one, but all four requirements for it to be qualified as a world heritage site. 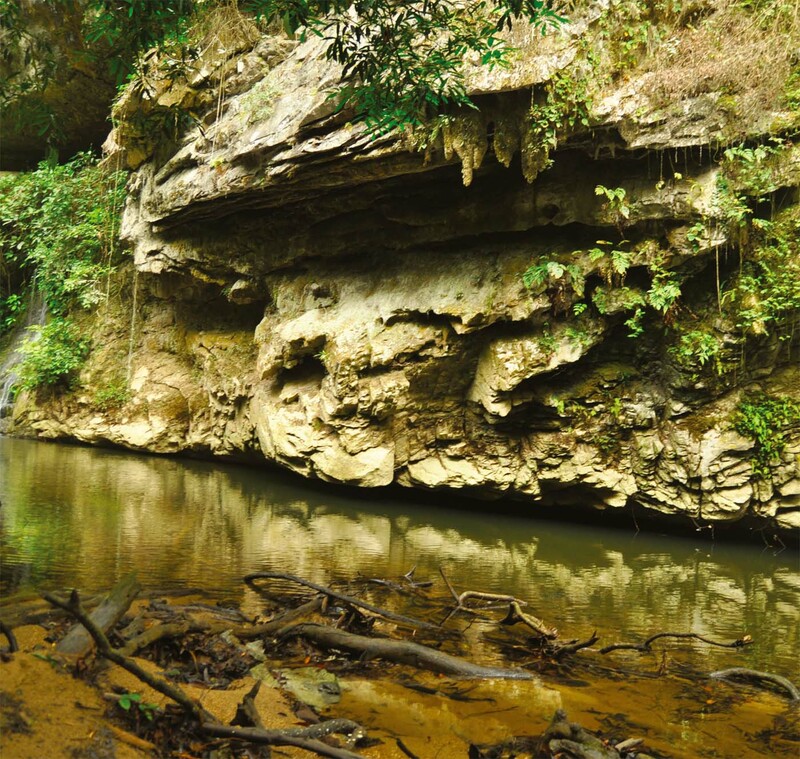 Gunung Mulu National Park’s concentration of caves, including its geomorphic and structural characteristics, provides better understanding of the history of Mother Nature and opportunities for ecological studies. Mulu also has outstanding scenic values, ranging from jagged limestone pinnacles to humongous caves to deep gorges and hidden valleys. Being the largest national park in Sarawak, Gunung Mulu National Park covers 544 square kilometres of primary rainforest. Rich in bio-diversity, a diverse range of flora and fauna species are recorded in Gunung Mulu National Park. Among others, 111 species and 20 genera for palms, 1,700 species of liveworts and mosses, 28 species of bats, 270 species of birds, 20,000 species of invertebrates, 55 species of reptiles and 48 species of fish. Of the 29 endemic Borneo bird species, 26 have been recorded in the park area. Eight of Borneo’s hornbill can be found in Mulu. 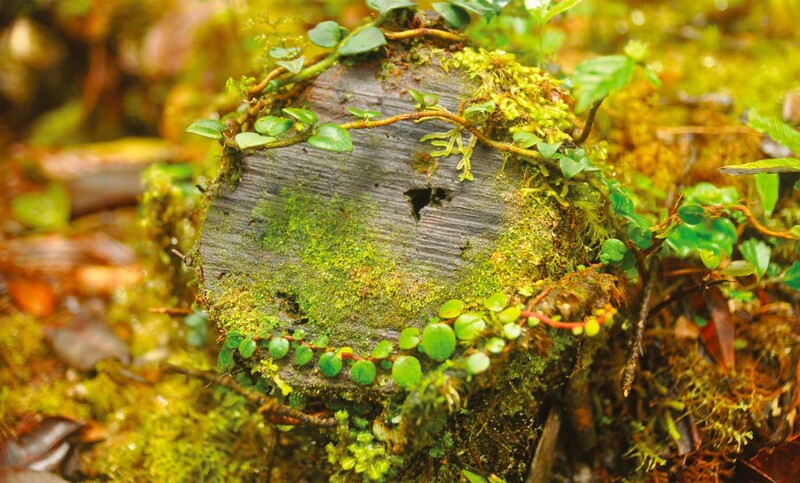 For maximum rainforest experience, one can walk on the plankwalk and observe the plants, some of which are endemic to Mulu. Even for a novice like me, the presence of informative signage along the Botany Loop provides insights to the plants of Mulu. There are many different trails open for leisure walking in Mulu, the free ones being Kenyalang Loop, Paku Waterfall and Paku Valley Walk. After light walking in Gunung Mulu National Park, one may try Mulu Canopy Skywalk, which is suspended 20 metres above the forest floor. It is built among the lush treetops with a tranquil river streaming underneath so as to give an overview on the different types of trees that occupy Mulu. 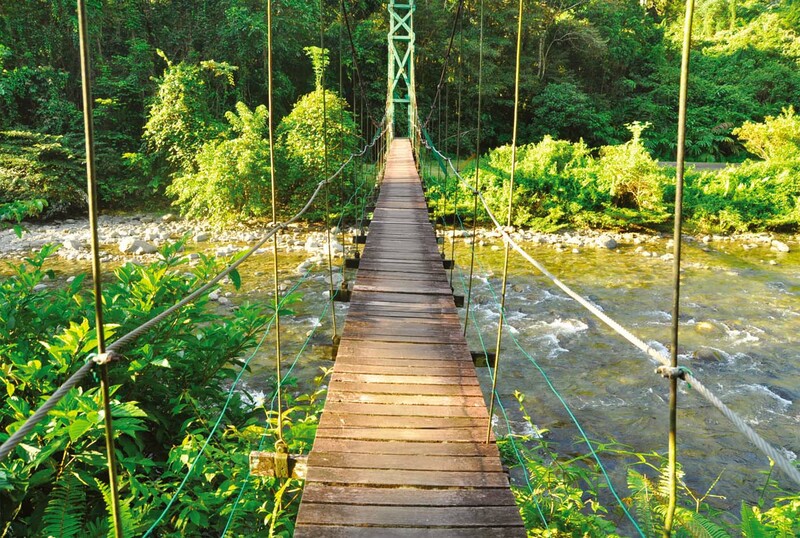 Mulu Canopy Skywalk gives panoramic view of the surrounding area in the midst of Gunung Mulu rainforest. It is also the best place to see Macaque monkeys, hornbills, flying lizards, squirrels, insects and a range of rainforest birds that frequent Mulu Canopy Skywalk to eat figs. 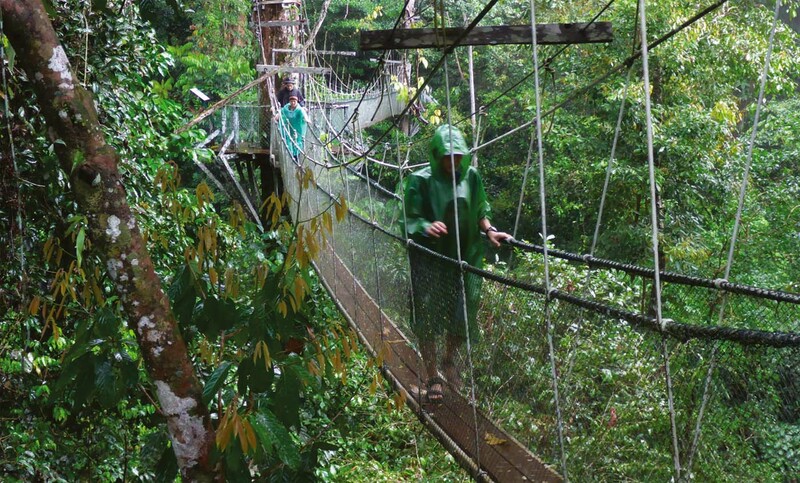 The 1.5-kilometre journey to the Canopy Skywalk takes about 30 minutes from Mulu Headquarters. Among the famous trekking trails in Gunung Mulu National Park are the Mulu Pinnacles and the Mulu Summit. Those who are physically fit may challenge themselves by climbing to the viewpoint of the unique karst rock formation also known as the Mulu Pinnacles. Standing at 45 metres high, the limestone needles cling to the side of Gunung Api, forming a forest of razor-edged limestone surrounded by lush vegetation. The trekking trail includes a steep ascend and climbing 90-degree steel staircase to a small viewpoint overlooking the Mulu Pinnacles. A journey to Mulu Pinnacles begins with one- to two-hour boat ride along Melinau River from Mulu Headquarters, followed by another 7.8 kilometres of trekking, to reach Camp 5 by passing through suspended bridges and streams with spectacular views of the limestone landscape. Camp 5 serves as the base camp for the hike to the Mulu Pinnacles. While the journey to Camp 5 is breathtakingly laid-back, the hike to the Mulu Pinnacles is one of the toughest in Mulu. Although the trail from Camp 5 to the Mulu Pinnacles viewpoint is approximately 2.4 kilometres, it rises to 1,200 metres above sea level. The trail becomes difficult as the trees grow thinner. Limestone debris, stones, rocks, stone cracks and chunks of mini limestone needles scattered on the trail. At an elevation of approximately 800 metres, the trail climbs steeply ahead using the steel staircase. Thick sole hiking boots are definitely recommended. From the viewpoint, the effort is rewarded by the spectacular view of the Mulu Pinnacles. Laying just about 300 metres away, stands a forest of limestone needles, boulders and sparse vegetation. The earlier you descend the better because if it gets rainy, the rocky surfaces on the trail get slippery, exposing you to unnecessary risks. If climbing to the viewpoint to see Mulu Pinnacles has not satisfied your lust for nature, there is an organised trek to the summit of Gunung Mulu which is scaled at 2,376m. The four days and three nights trek is the toughest trek following the first discovered route along the south-west ridge in 1920s. To embark on this journey, one must be physically fit as it involves way too many steep ascends. The trail to the Mulu Summit involves trekking through the lush primary rainforest, traversing through rivers and climbing jagged rocks. As you walk through the jungle, sounds of shrieking cicadas and chirping birds make the environment lively and welcoming. At dusk, one can stay overnight at one of the spartan huts provided at main camp areas. Although there is no viewpoint at the Mulu Summit, the views of Melinau Gorge, Gunung Api and Gunung Benarat along the journey are enough to give you the wow moments. The sunset view near the summit is exceptionally splendid. 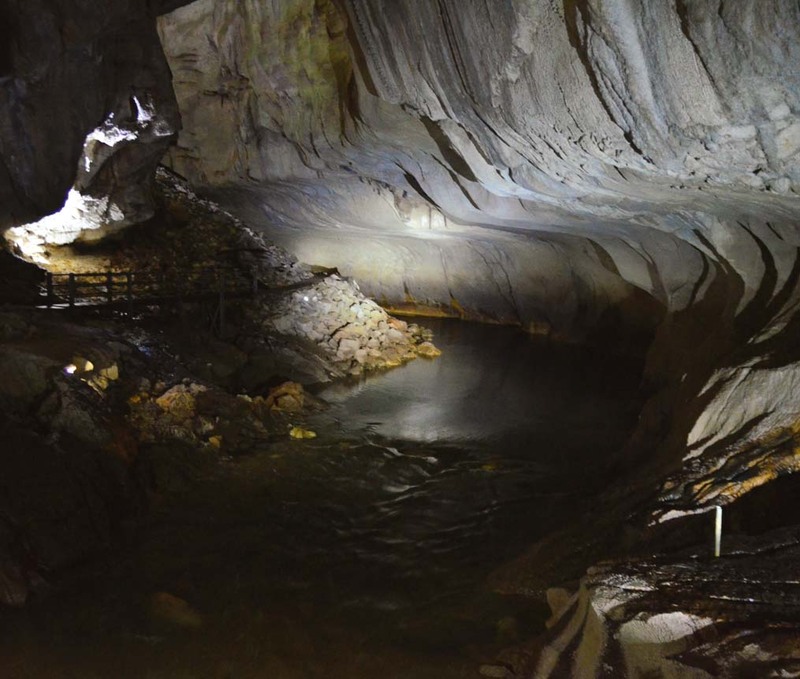 Interestingly, many caves in the Gunung Mulu National Park remain unexplored and mapped. In it lies the world’s largest natural chamber within a cave that measures 600 metre long, 415 metre wide and 80 metre high. According to BBC’s Planet Earth, the Sarawak Chamber can fit up to 40 Boeing 747 aircrafts lined up nose to tail. You can also find the longest cave in Asia in the form of Clearwater Cave System. Due to the alluvial history of the Melinau river, cave passages developed at many levels. Deer Cave is the world’s largest natural cave passage, measuring between 120 and 150 metres in diameter. Be informed that visitors are not permitted to enter any of the caves within Gunung Mulu National Park without a Licensed Park Guide. Daily tours are available to all four show caves that have concrete pathways and artificial lighting. 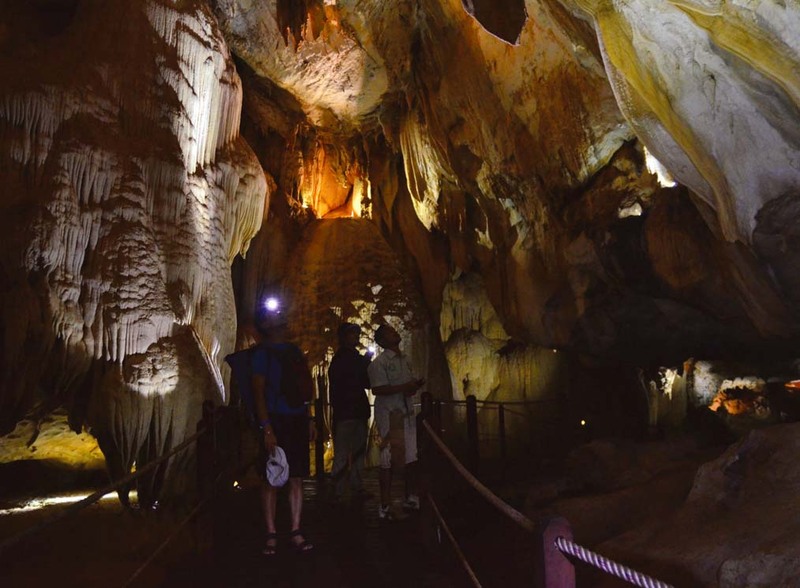 The four show caves of Mulu are Deer Cave, Lang Cave, Wind Cave and Clearwater Cave. As you walk inside Deer Cave, just imagine the force of water required to shape the boulders and scalloped walls of the cave. Streaming water from the cave roof continuously enlarge the shape and size of the cave, thanks to the heavy rain that Gunung Mulu National Park receives all year round. The path inside Deer Cave continues to wind deeper into blackness before a green oasis bathed in sunlight emerges. The green oasis is known as Garden of Eden and the 30 metre column of water gushing to the river is known as Adam and Eve’s Showers. If you are standing at the right spot in Deer Cave, pause and look at the cave entrance: you will notice the rock figure of Abraham Lincoln’s profile. Lang Cave is situated adjacent to the Deer Cave. Although small in size compared to the other show caves, Lang Cave has impressive stalagmites and stalactites formation. Sprouting from the cave surface are cave worms that look like strings of cotton candy. At dusk, you will hear the squeaking noise that comes from within the cave, a clear sign that the bats are preparing to go out to forage for food. 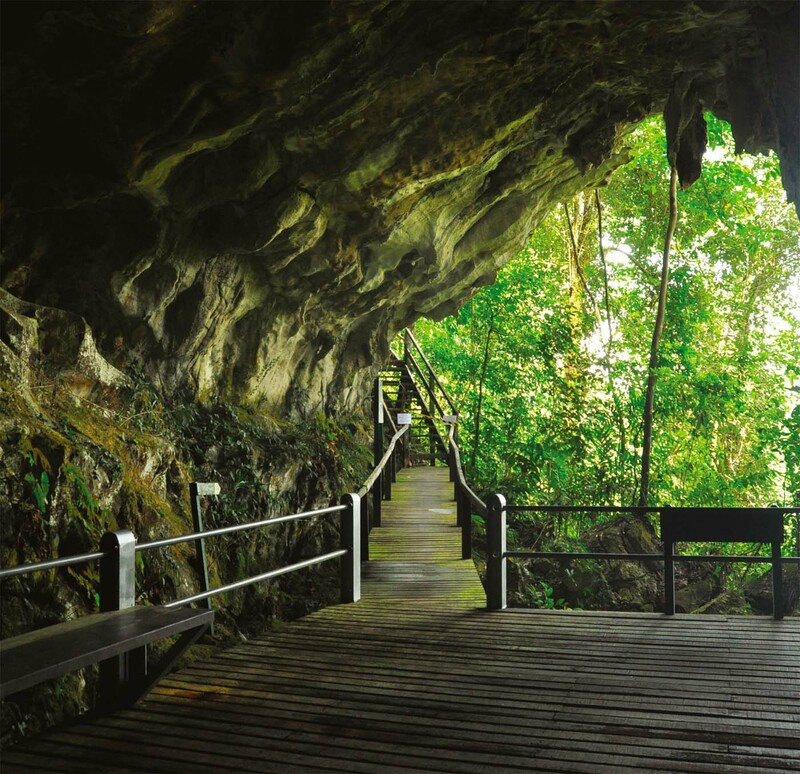 Every evening, the visitors to Gunung Mulu National Park flock to the observatory deck near Deer Cave and Lang Cave to watch the famous bat exodus. The wait might be long but it is always paid off by millions of wrinkled lip bats flying in spiral formation in the sky. The travel time taken for each group of bats depends on its size. Unlike Deer Cave and Lang Cave, Wind Cave and Clearwater Cave require a boat transfer to reach them. The visitors will be transported using long boats through the Melinau River. The journey provides a glimpse to the life of the people who live around Mulu, especially the Penan sub-ethnic. Occasionally, you will be able to see women and children taking bath and doing laundry by the riverside or men laying their fishing net or traps to put food on the table. The name Wind Cave is derived from the breeze one might feel when walking inside the wind cave. Some of the formations are basic limestones, stalactites and stalagmites. Do not forget to look up at the “scalloping”, which are the round dents on the rock that look like rippled pattern. It was caused by water that flowed through it many years ago. The Clearwater Cave System, which lies mainly under the western margins of Gunung Api between the Melinau Gorge and Wind Cave, is believed to be the largest interconnected cave system in the world by volume. The total length of the Clearwater Cave system at present is 197.08 kilometres. Upon arriving at the Clearwater Cave, one will notice the clearwater river where visitors may engage in swimming activities. 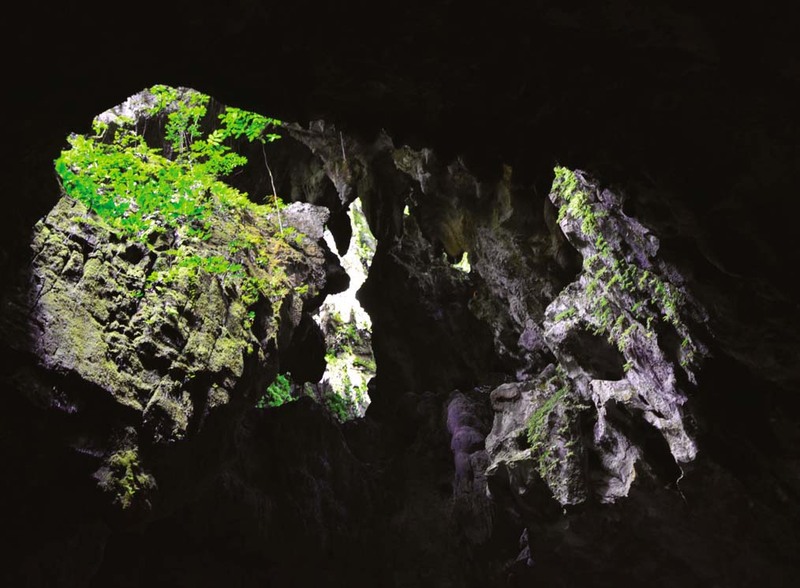 Apart from the show caves, you may also arrange for adventure caving inside Mulu’s wild caves, where there is no plankwalk and artificial lighting. Adventure caving requires you to walk in pitch black darkness with headlamps and do technical climbing using ropes. 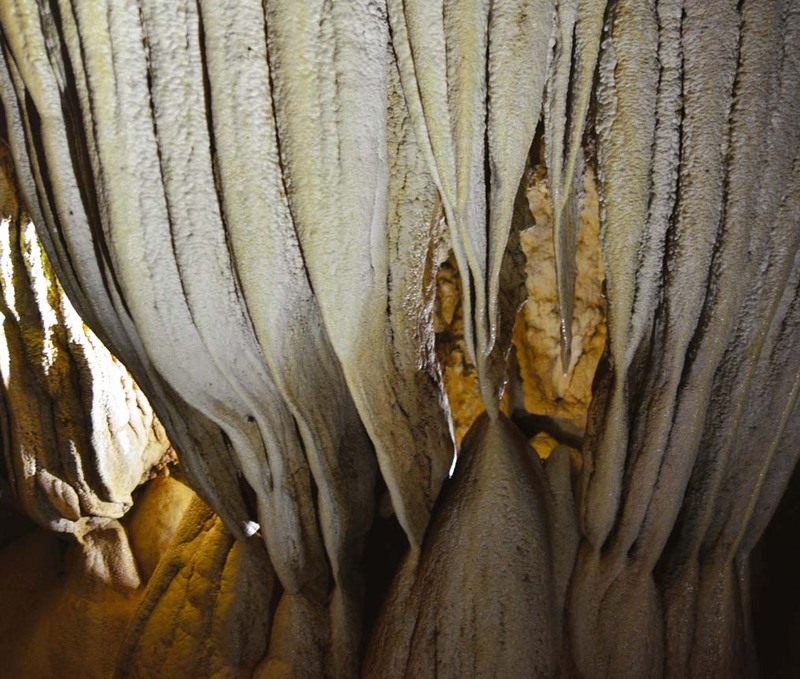 The intermediate level caves are Racer Cave, Lagang Cave and Drunken Forest Cave, while the advanced level caves are the Clearwater Connection and the Sarawak Chamber. As comprehensive as you can get. A well-deserved award-winning article, alright!